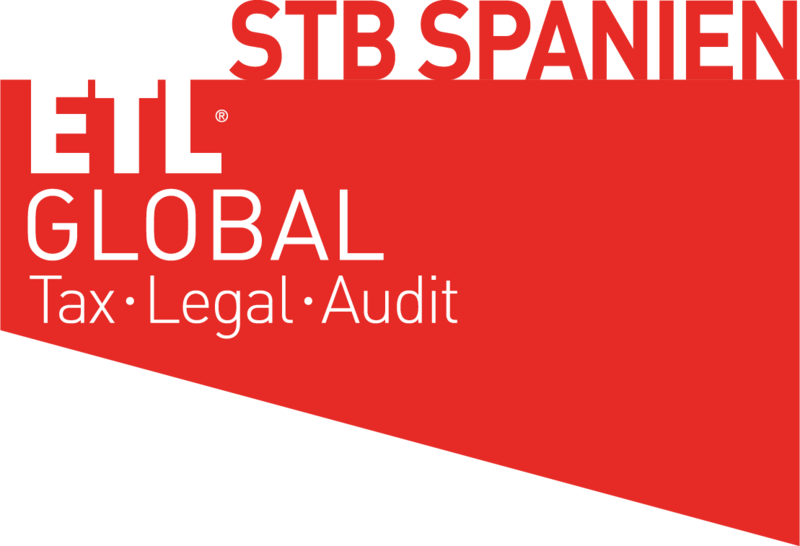 ETL STEUERBERATUNG SPANIEN S.A., with registered offices for these purposes in Calle Riera principal, 8 Alella, registered in the Companies Registry of Barcelona, with Tax Identification Number A66576877. ETL STEUERBERATUNG SPANIEN , has created the Website as a way to share the latest news and news from the ETL STEUERBERATUNG SPANIEN business group itself and the world in general that it considers to be of interest to users of the Web Site or the firm’s clients in relation to the legal affairs, tax, account audits, insurance, and in general, all branches of activity of the business group. To be able to use the Services offered on the Websites, you must be of legal age, so that, by accepting the following Terms and Conditions, you declare that you are of legal age, and have the capacity to purchase the services offered on the Web Sites. In relation to the above, you are responsible for the accuracy and veracity of the data provided to ETL STEUERBERATUNG SPANIEN, through the registration form. Users under the age of 18 who are interested in purchasing the services must first obtain permission from their parents or legal guardians. You undertake not to use the Website to carry out activities contrary to the law, morality, public order and, you must use it under the conditions contained in these Conditions of Use. You also undertake not to advertise or make commercial use of the site by sending messages using a false identity. The Company is the owner of the Website as an information service provider, and is not responsible for content that, contrary to these general conditions, Users may send or publish, the user being entirely responsible for the veracity and legality of the same. The Company reserves the right to decide, at any time, on the continuity of the information services that it provides through its website. In the case of reserved areas for the participation of users (blogs, forums, chats, reviews, shares, etc. ), ETL STEUERBERATUNG SPANIEN will not participate in any way in these, and users provide these contributions or opinions at their own risk. The Company reserves the right to suspend or delete contributions or comments that do not comply with these conditions. The User also agrees that the company shall be entitled to notify the administrative or judicial authorities of facts that lead to suspicion of an unlawful activity, without notifying you in advance. Use updated versions of browsers. When you enter the restricted access area, check the access occurs by using the TLS 1.1 security protocol to ensure the integrity and confidentiality of the information provided. Do not agree to run programmes that download automatically if you do not trust the download sources. If you use public computers or computers shared with third parties, confirm that the automatic password mechanism is not activated. The passwords provided are absolutely confidential, and you are therefore responsible for using and storing these with due diligence. Therefore, you must not write down passwords on paper or on electronic documents. You can change your password from time to time. In this case, we recommend you choose a password that is difficult to guess. Please avoid birthdays, dates of birth, telephone numbers, etc. For security reason, access to the websites may be blocked if you enter the wrong password a certain number of times. Keep your antivirus software up to date. To do so, see the manufacturer’s instructions on how to keep the programme automatically updated. Analyse all the documents you receive from outside sources with an antivirus programme. Install programmes from reliable sources that do not infringe intellectual property rights. It is advisable to install an anti-spyware programme. Also, it is recommended you set up a spam filter. If you receive unsolicited emails, notify the sender or delete the message. Never open it even if it comes from a known sender. Do not participate in email chains or forward e-mails indiscriminately. Do not run annexed files. It is much safer to extract them first and run them from a directory. Having an anti-virus program does not guarantee that your computer is completely protected, mainly for two reasons: the virus may be so new that is not detected by the virus library of the programme or there may be a “false positive”, that is to say, a programme may have programming code sequences similar to a virus. The entire website: text, images, trademarks, graphics, logos, buttons, software files, colour combinations, as well as the structure, selection, ordering and presentation of its contents, are protected by intellectual property laws and belong to ETL STEUERBERATUNG SPANIEN as the author of a collective work, and its reproduction, distribution, public communication and transformation, are prohibited except for personal and private use. The Company does not warrant that the content is accurate or error-free or that your use of the same does not infringe the rights of third parties. You are responsible for making correct or incorrect use of this page. Any reproduction, retransmission, copying, transfer or redistribution, in whole or in part, of the information contained on the website, whatever its purpose and the means used to do so, is forbidden without prior permission from the company. The Website may contain links to third party sites. Pages belonging to third parties have not been reviewed or are not checked by the company. In any case, the Company shall not be held responsible for the content of these web sites or for the measures to be taken relating to your privacy or the processing of your personal data. If you wish to provide a link to any of the Company’s page you must first obtain our express consent to create the link. The Company reserves the right to oppose links to its website. Persons under the age of 18 may not use this website. The Company reminds users of legal age with minors for which they are responsible, that you must decide which services and/or content are or are not appropriate for the minor’s age. The Company hereby informs you of the existence of computer programmes that allow you to filter and block access to certain content and services, in such a way that the parent or guardian, for example, can decide to which Internet content and services minors may have access. The quality of service, speed of access, the correct operation and availability and continuity of the operation of the Website. Damage caused to the computers of those making use of the website. If a third party, breaking the security measures established, accesses messages or uses it to spread viruses. Faults of all types in the contents transmitted, disseminated, stored or made available. The legality, reliability and usefulness of the content that users transmit with the website or of the services offered, nor their veracity or accuracy. The Company does not control the use that users make of the page, nor does it guarantee that they will do so as established in this Legal Notice. The up-to-date nature of the content offered in the news section. Contents entered by you, particularly the data and information entered and sent to the Company through the websites. All illegal activities that infringe third party rights and are damaging and/or prejudicial. Custody of the user name and password, which must not be communicated to third parties, in order to avoid identity theft and/or facilitate data that is not accurate or incorrect. In case of any disputes arising from the use of the services offered or the content of websites the parties, by accepting the clauses established in these present Conditions of Use shall be referred to the courts of Barcelona.